"Appa where is Saravanan? Why is he not coming to eat with me?" she asks. I cannot bring myself to tell her that we just buried him, that the disease he had, the same one she has, took him from us. She watched him suffer, and assumed that pain is normal. If she asks us for a reason, we cannot explain how money stood between him and treatment just like it is for her. Divya Darshini is just 6 years old. However, she has less than 6 weeks left to fight death. 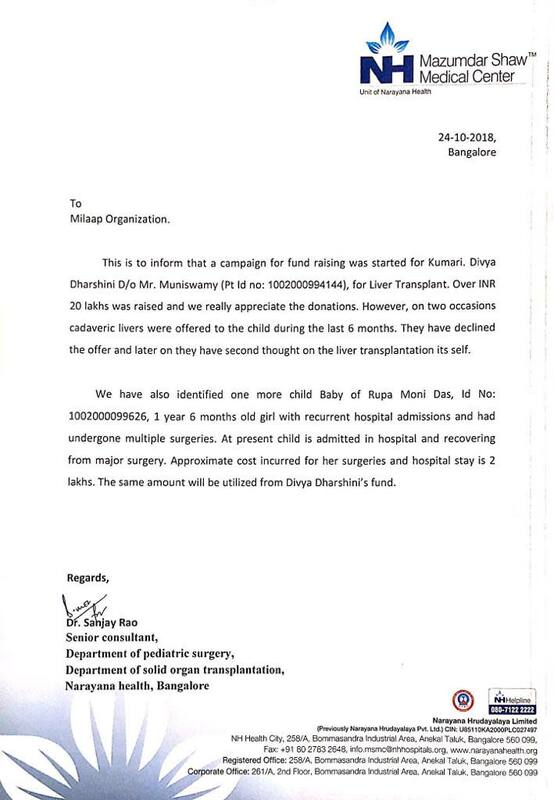 Her parents cannot afford liver transplant surgery and as a result they lost their baby boy to the disease already. Now Divya's life is at stake and they plead for help. "She vomits blood all the time. The bile has deposited in her skin. It makes her itch so much that her skin breaks and bleeds all over. She cries 20 hours a day, and her bloated belly restricts her breathing." - Munisamy. 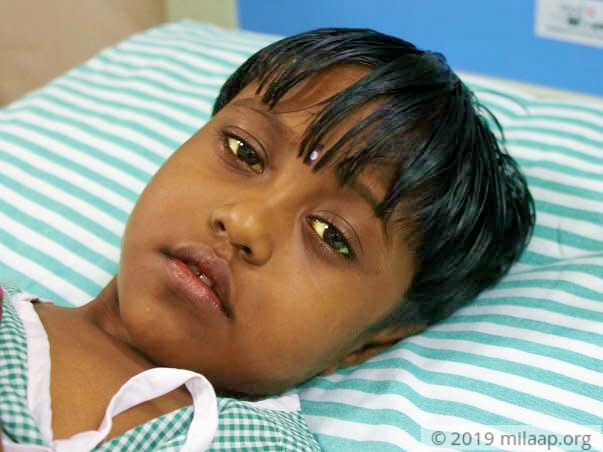 Divya did not show any symptoms of this genetic liver disease. When her brother was diagnosed, she was also tested. The parents thought she had more time, and that medicines would control it. 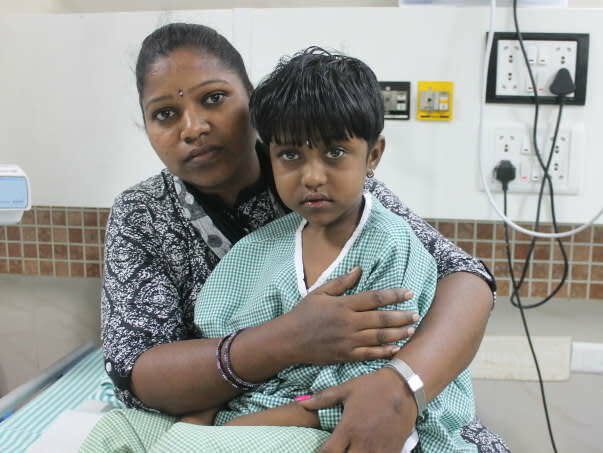 Just a few weeks before they lost their baby boy, Divya's condition also began to deteriorate. They did not have time to react as both their children raced against time. Liver disease first affects the brain. Divya's memory is getting weaker. She is unable to focus on anything, even a conversation. All she does is either cry or sit and stare around the room, unresponsive. She does not eat, and vomits blood every day. The bloating is her belly from backed up toxic blood causes intense pain. In fact, her hemoglobin is very low. The anemia is worsening the bleeding. Her liver has lost over 85% function, and she has weeks left to fight. "I want to stay with Saravanan!" Divya is unaware that her brother recently died. She holds his picture and shares food with him like they always did together. She cries for him more than she cries out of pain. "I lost my parents when I was just 12 years old. My uncle helped me through school. I dropped out when I was in 9th grade and started working. Today, I sell onions making Rs 400 -500 per day. 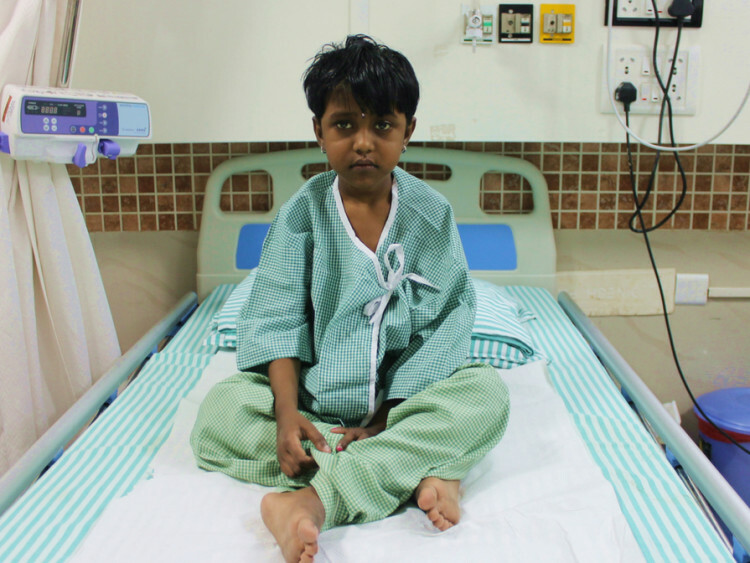 I have already spent 4 lakhs for her treatment and I'm neck deep in debts. Now I have nothing left with me for the surgery." - Muniswamy. Muniswamy refuses to leave Divya's bedside as he is afraid she might pass away any moment like his son. He and his wife Radha do not have the strength to lose her and they are literally begging everyone to save their daughter's life. 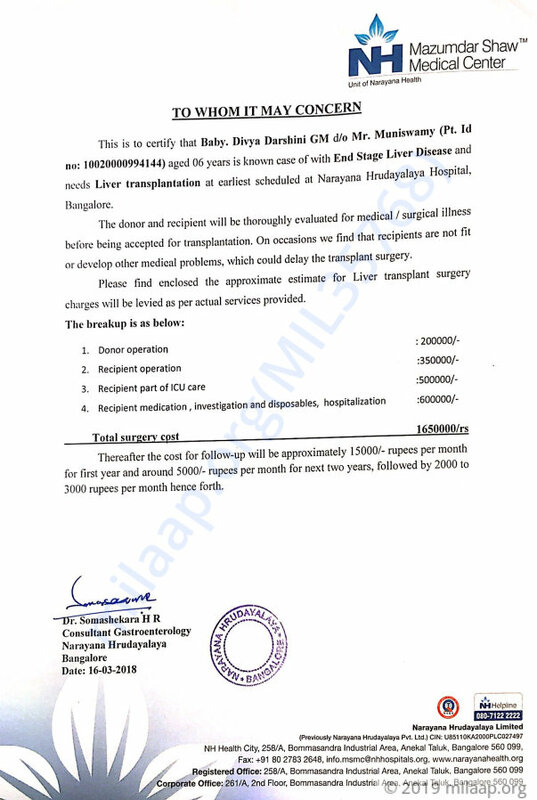 They require Rs 16,50,000 for the transplant while they are even managing everyday expenses on loans. 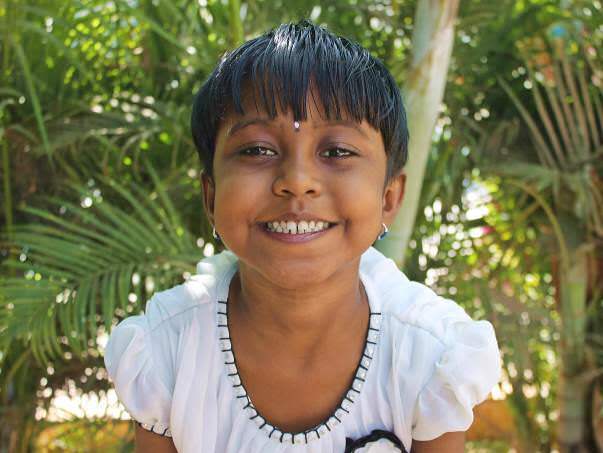 Divya has less than a few weeks to get the transplant. If they delay, nothing can save her. Your contribution can give Divya a chance to live her life! The family is thankful to all of you for the love and support showered on Divya. 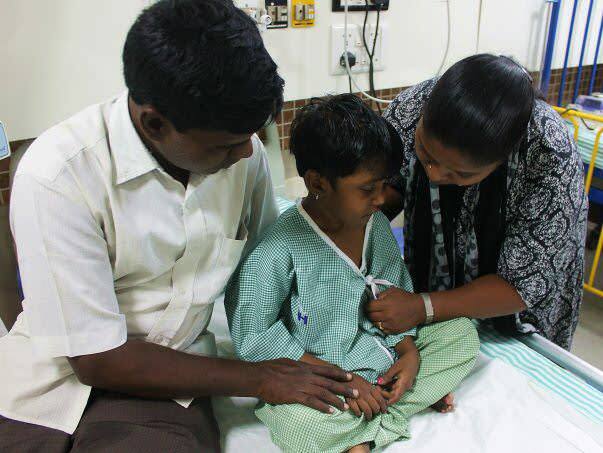 The parents were given an option to opt for a cadaver liver transplant twice, but however refused to get treated. Presently the family does not want to undergo a liver transplant for personal reasons. Hence, as per the discussion with the hospital and family , a portion of funds (2 Lakhs) will be utilized for another patient who is in dire need of funds. Rupa was told that her baby’s life was in danger – her food pipe hadn’t developed. She could barely feed or breat0he without struggling, and her stomach began swelling. Presently the child is in the ICU on ventilation and needs your help. In case you would like to opt for a refund, please reply to us by 3rd November and we will be happy to initiate a refund for you. After which all the funds raised via this campaign will be transferred to Rupa's campaign. The remaining funds will be utilized for the next deserving patient that will be identified by the hospital. Divya is now doing okay. She is at home and is on medication. She is yet to undergo the operation. We have an appointment scheduled with the doctor on Wednesday (20 June, 2018). The tests have been done already and the father has been identified as the donor. The doctors will take a call soon on when to schedule the surgery. Divya was discharged about a month ago. She is feeling better now, though she is yet to undergo liver transplant. The pre-transplant tests have already been done. She underwent CT Scan, blood test, urine test and we will get the reports in another 10 days. The doctors have told us that the operation is likely to take place this month (May) and we are all hopeful and praying for her well being. We will forever be grateful to you all. Thank you all once again!